H.B. 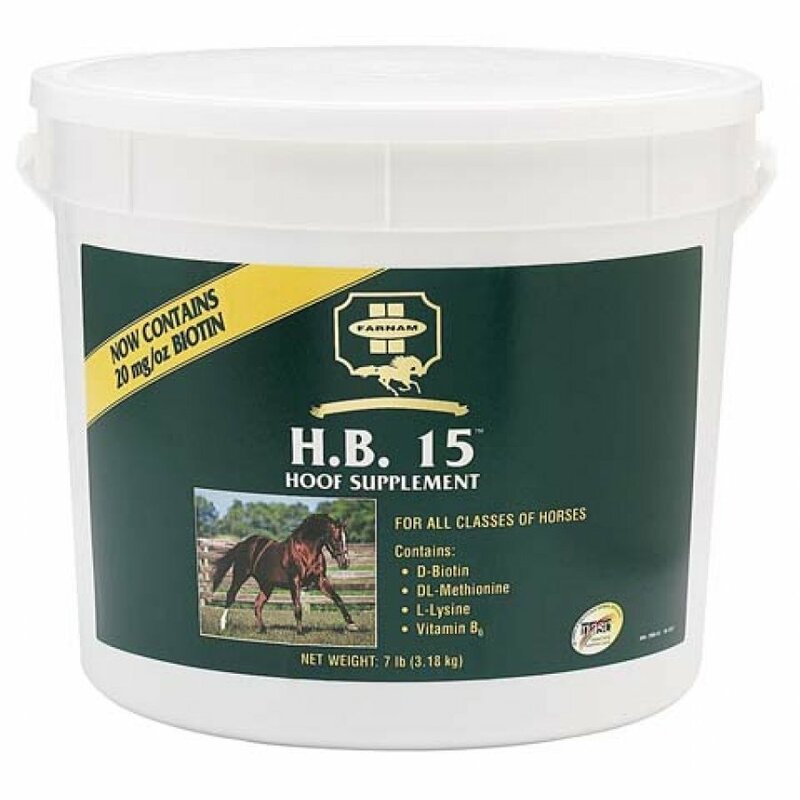 15 Biotin Supplement for Horses has different options and/or variations, please choose below. Made in the usaWheat Middling, Oat By-Product, Calcium Carbonate. 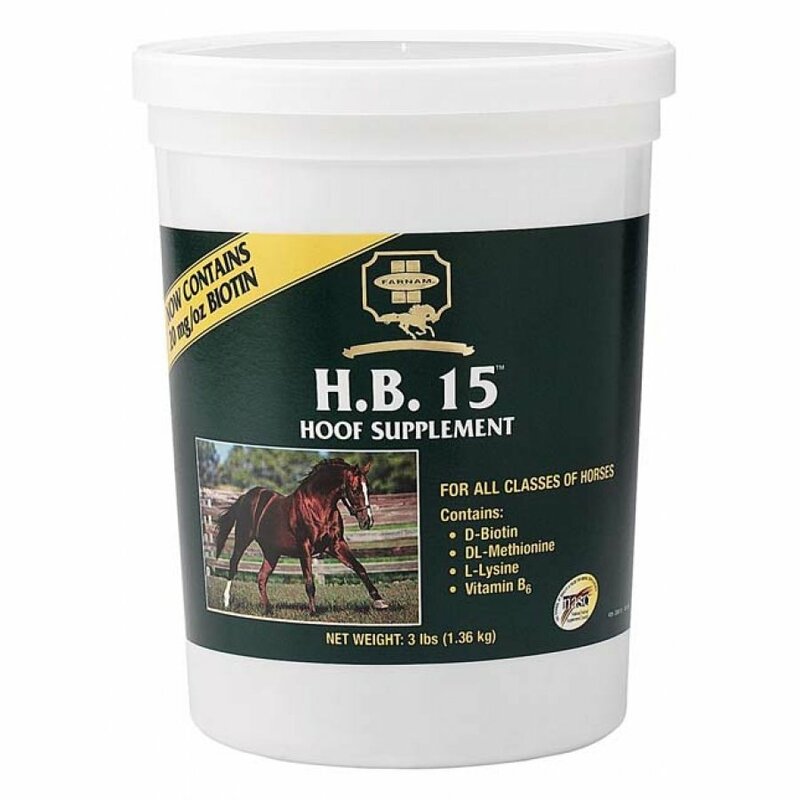 Dehydrated Alf-Alfa Meal, Sodium Chloride, Biotin, Dl-Methionine, L-Lysine, Pyrido-Xine Hydrochloride(Source Of Vitamin B6), Molasses, And Propionicand Acetic Acids(Preservatives). Made in the usaWheat Middling, Oat By Product, Calcium Carbonate, Dehydrated Alf-Alfa Meal, Sodium Chloride, Biotin, Dl-Methionine, L-Lysine, Pyrido-Xine Hydrochloride(Source Of Vitamin B6), Molasses, And Propionicand Acetic Acids (Preservatives).